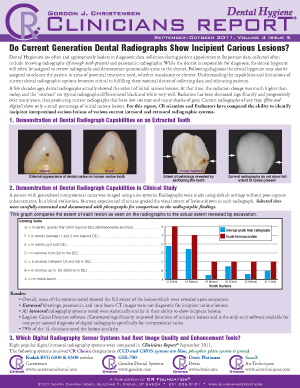 Do Current Generation Dental Radiographs Show Incipient Carious Lesions? • Which Digital Radiography Sensor Systems had Best Image Quality and Enhancement Tools? • How Do the Various Radiography Types Compare?